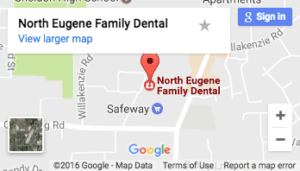 At North Eugene Family Dental, dentist in Eugene, Oregon Dr. Kirchmeier and the rest of the staff at our Eugene dentist’s office want every patient to enjoy the very best oral health. This means understanding the risks your teeth and gum face on a daily basis. So while your teeth rank as some of the most resilient parts of the body, a lifetime of wear and use can cause them to eventually breakdown. A variety of factors can cause your teeth to suffer from extended wear, including your diet, sleeping habits and daily oral hygiene routine. Now a new study has found that individuals who suffer from social anxiety have a higher risk of experiencing jaw pain, tooth erosion and bruxism, the clinical name for teeth grinding. Nearly one in six adults in the U.S. suffer from some form of anxiety disorder, according to the National Institute of Mental Health. The most commonly known types of this disorder are post-traumatic stress disorder, obsessive-compulsive disorder and social anxiety disorder. However, what about the short bouts of anxiety people experience during moments of high stress? A new study from researchers at Tel Aviv University, recently published in the Journal of Oral Rehabilitation, has found that anxiety experienced socially increases an individual’s risk of teeth grinding, which eventually leads to jaw pain and cracks in tooth enamel. According researchers, socializing with people is likely to cause teeth grinding in individuals suffering from social anxiety. While not a dental problem, the effect of social anxiety has clear dental consequences. Researchers hope that by highlighting the problem, psychiatrists will be able to identify patients suffering from social anxiety who are most likely to develop bruxism and refer them to a dentist for treatment before their oral health problems worsen. As part of the study, researchers asked 75 men and women in the early 30s to complete a detailed questionnaire. A group of 40 people suffered from a social phobia, characterized by excessive fear in social situation. Just under 50 percent of the groups members were taking antidepressants. A control group of 35 participants did not suffer from a social phobia. Each study participant underwent a dental and psychiatric exam. Teeth grinding symptoms and oral habits like nail biting, gum chewing and how frequently participants played with their jaw were all assessed. While the use of antidepressant drugs have been previously linked to teeth grinding, this latest study found no direct links. However, moderate-to-severe dental wear was seen in over 42 percent of participants with social anxiety compared to just 28.6 percent of the control group. The rate of jaw play was 32.5 percent in the social anxiety group compared to just 12.1 percent of the control group. The symptoms of awake teeth grinding – a habit that typically only occurs during sleep – was reported by 42.5 percent of participants with social anxiety compare to only 3 percent of the control group. This data led researchers to conclude that social interactions seem to trigger teeth grinding in individuals suffering from a social anxiety disorder, and that by treating these social disorder doctors will be able to treat teeth grinding, as well. Since teeth grinding occurs primarily at night during sleep, many patients who suffer from the condition do so unaware. Fortunately, your trusted Salem dentist, Dr. Kirchmeier, can spot the signs of teeth grinding early on. If you normally wake up and experience jaw pain, facial fatigue or tooth pain, you need to schedule an appointment for a bruxism exam with Dr. Kirchmeier. If left untreated, teeth grinding can cause small cracks to develop in tooth enamel. These cracks expose the delicate interior of your teeth, known as dentin, to bacteria that will slowly cause cavities to develop. Don’t wait to take care of your health until a problem has already developed. Call today to schedule your next appointment at North Eugene Family Dental today!